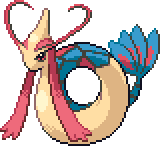 Milotic is a Water-type Pokémon. 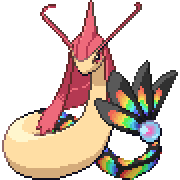 It evolves from Feebas when traded holding a Prism Scale. 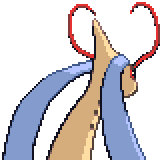 It can Mega Evolve into Mega Milotic using the Milotite. 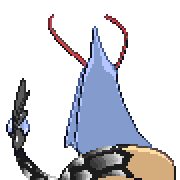 It is said to live at the bottom of large lakes. 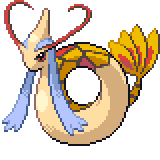 Considered to be the most beautiful of all Pokémon, it has been depicted in paintings and statues. 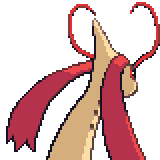 A level of "Start" indicates a move that will be known by a Milotic obtained at level 1. 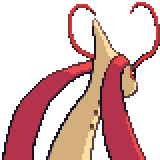 Milotic seems to be a counterpart of Gyarados. 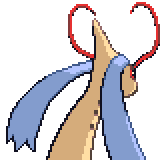 Both are the serpentine evolved forms of weak fish Pokémon, and both appear in times of conflict, Milotic to calm, Gyarados to destroy. 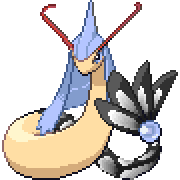 Both have base stat totals of 540 and share the same HP, Defense, and Speed stats. 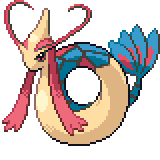 Milotic is tied with Gyarados for the greatest increase in base stat total after evolving, at 340 points. Mega Milotic has the highest base Special Defense of all Water-type, Fairy-type, and Mega Evolved Pokémon. 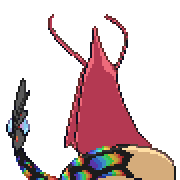 This page was last edited on 29 November 2018, at 11:16.